Commonly used for RSVP / Info and Wishing Wells. To look at the Card Stocks page click here. To view the stock sample colours / textures go to our Card Stock Page here. Artwork is compulsory, this is to update our templates to your own wording. Includes 3 emailed proofs for changes, and 1 printed proof. For Bespoke (new design) i.e. Replicate idea off the internet - Enquire first for additional cost. NOTE: If changes are made there is a $8 charge per set of changes to the guest list. If you make changes to this Guest List there is an $8 charge each set of changes. There may be an additional charge that we quoted to you over the phone. What is the Extra $ for ? 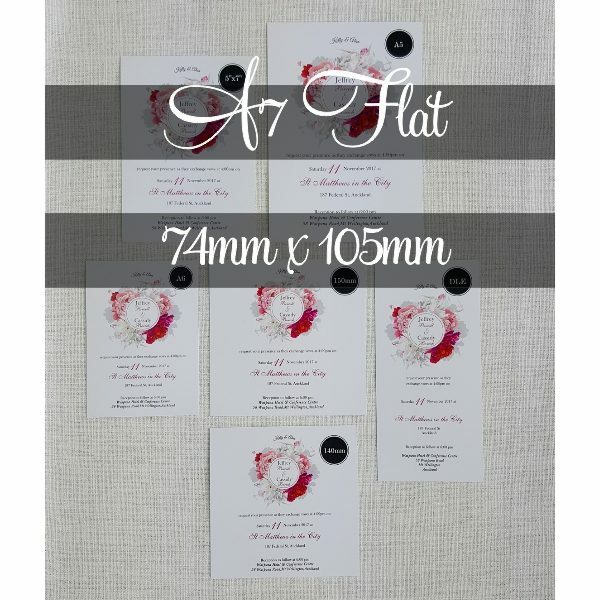 Your printed Invitation proof couriered to you. Free to collect from our shop. Printed proof not required – at your own risk. We strongly recommend a printed proof.